Sound & Vision: Sherlock Holmes (The Rathbone Films) | Warped Factor - Words in the Key of Geek. Chris Morley examines the strange case of Sherlock Holmes and the Increasing Use of Stock Music. Although over 70 actors have portrayed the role of Sherlock Holmes, for many the definitive take on Conan Doyle's famous detective is Basil Rathbone, who was ably assisted onscreen by Nigel Bruce as Dr Watson. Musical duties were shared amongst a team of two Davids, Buttolph & Raksin, alongside Cyril Mockridge & Charles Maxwell. The first David was perhaps better known as an arranger, later acclaimed for his work on Alfred Newman's Mask Of Zorro score, though he scored over 300 films during the course of his career as well as moving into TV at the dawn of the Fifties. David number two, Raksin, enjoyed a similarly lengthy career having started out playing in dance bands - one of his first cinematic commissions being on behalf of no less than Charlie Chaplin, serving as the little man with the pencil moustache's assistant as he set about attempting to come up with a score. Charlie did actually play violin himself but lacked the musical knowledge to do much more than hum, tell Raksin to note down what emerged & leave the rest to the young composer! Cyril Mockridge also composed the scores for such films as Cheaper by the Dozen, River of No Return and The Man Who Shot Liberty Valance. Mockridge was nominated for an Academy Award for the 1955 film Guys and Dolls and also composed the theme music for television's Western Laramie. Frustratingly little can be found on Charles Maxwell - a case worthy of Holmes himself we might say. 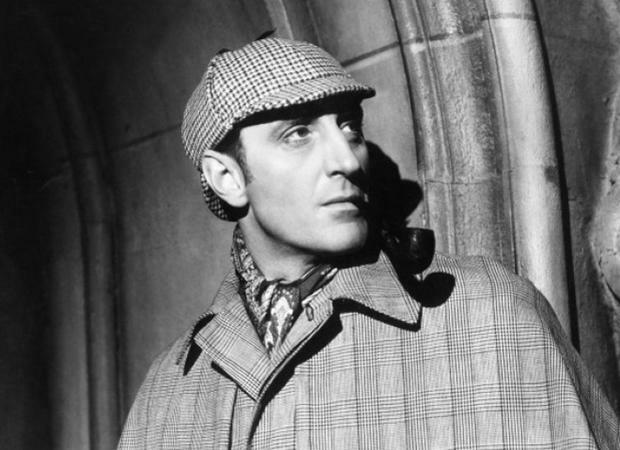 Such was the success of 'Hound' that Rathbone returned to the role almost instantly for the second film in the series, The Adventures of Sherlock Holmes. Based on the 1899 novel Sherlock Holmes, co-written by Conan Doyle and William Gillette, Cyril Mockridge returned for co-musical duties, alongside one Robert Russell Bennett. American born Bennett was, best known for his orchestration of many well-known Broadway and Hollywood musicals by other composers such as Irving Berlin, George Gershwin, Jerome Kern, Cole Porter, and Richard Rodgers. In 1957 and posthumously in 2008, he received Tony Awards recognising his orchestrations for Broadway shows. These first two films in the series were produced by 20th Century Fox and released just months apart from each other. They both had large budgets, high production values and were well received, yet the studio decided to not produce anymore of Holmes adventures. Three years later Universal Studios acquired the rights from the Doyle estate and produced a further twelve films. Both Rathbone and Bruce continued their roles when the series changed studios, as did Mary Gordon, who played the recurring character Mrs. Hudson. Universal updated the films to have Holmes fighting the Nazis (the original two films having been set in the Victorian era), and produced them as B pictures with lower budgets and the series would increasingly become dependent upon stock music, as we will discover. 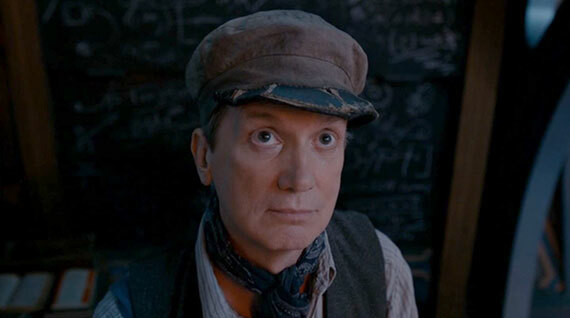 The first three releases, Sherlock Holmes and the Voice of Terror, Sherlock Holmes and the Secret Weapon & Sherlock Holmes in Washington would see Frank Skinner take on composing duties! No, not that Frank Skinner, this would be the one born in Meredosia, Illinois in 1897, who spent 30 years employed by Universal Studios where he composed music for more than 200 films, including some of their classic horror releases like Son of Frankenstein and The Wolf Man. During his career Skinner earned five Academy Award nominations (between 1938–43) for his compositions, and his book Underscore (published in 1950) is still considered today to be an excellent introduction to film music composition despite the many changes in the film industry over the last 70 years. Universal Studios chose to employ a Musical Director for the next two features, Sherlock Holmes Faces Death and The Spider Woman. The man with that title was Hans J Salter, and it was his job to trawl through the Universal Studios music archive for suitable compositions, arrangements and recordings, bridging the gaps himself where needed. Salter, like Skinner, composed mainly for Universal throughout his career, most famously for their horror and science fiction films. His most celebrated scores include Creature from the Black Lagoon and The Incredible Shrinking Man. Salter also worked on The Wolf Man with Skinner. Salter was nominated for an Academy Award for several films, but much of his output for Universal was uncredited, where it was used as stock music in minor pictures. This was a common practice at the time with studios like Universal, and indeed if you watch Sherlock Holmes Faces Death (above) and listen to the accompanying soundtrack you'll hear that Salter himself had utilised much of Skinner's work from the previous three films, with Skinner too going uncredited. Paul Sawtell is our next Holmes composer, scoring the following three films in the series, The Scarlet Claw, The Peal of Death and The House of Fear, although he went uncredited across all three features. Sawtell began his career with RKO, and eventually joined Universal Pictures where he worked on many western and horror films, alongside his work on the Sherlock Holmes films, before returning to RKO in the late 1940s. Towards the end of the 1950s, Sawtell struck up an alliance with fellow film composer Bert Shefter and they produced many film scores together. Most notably they provided the music to classic science fiction and horror films including Kronos, It! The Terror from Beyond Space, Return of the Fly, The Lost World, Voyage to the Bottom of the Sea (in cooperation with producer Irwin Allen), and Jack the Giant Killer in 1962. In 1965 they composed some scores for the director Russ Meyer, such as the cult classic Faster Pussycat! Kill! Kill! and Motorpsycho. Perhaps Sawtell's best-known composition, though, is the main theme for the Voyage to the Bottom of the Sea TV series, adapted from Allen's 1961 feature film, for which Sawtell had written a different theme. By this point in the series, it was commonplace for many of the composers earlier works to be re-used for subsequent releases, and in almost every case their work remained uncredited. For 1945's The Woman In Green, Mark Levant was hired as Musical Director. He mined the Universal archive and included work by Skinner, Salter and Sawtell, alongside fellow Universal in-house composers Paul Dessau and William Lava. Like Sherlock Holmes in Washington and The Scarlet Claw, the final three films in the series were original stories, rather than adaptations of Conan-Doyle's novels. Ironic really, considering they contained next to no original music between them, with the works of many in-house composers being featured uncredited throughout Pursuit To Algiers, Terror By Night and Dressed To Kill. Edward Fairchild oversaw 'Pursuit' with Milton Rosen acting as Musical Director for the final two releases. Rosen had joined the Universal music department in 1939, and remained under contract with them (except for a brief stint at Fox in 1948) until 1973. During his tenure he wrote more than 150 songs and contributed, either as arranger, conductor or musical supervisor to over 200 of the studio's often colourful, escapist extravaganzas. Rosen's most prolific year was 1946, the year the final two Rathbone Holmes films were released, when he acted as either Musical Director or Composer on 24 Universal Studios releases! Come the end of 1946 Basil Rathbone was keen to separate himself from the role of Sherlock Holmes to avoid being typecast, but 14 motion pictures and 220 30-minute radio episodes meant he was unable to shake himself completely free from the shadow of the Great Detective despite appearing in many other film roles. Of all the actors who have portrayed Sherlock Holmes on screen very few of them are held in as high esteem as Basil Rathbone. One of them donned the deerstalker over half a century later, and that is where we will be heading next time for a look at his musical accompaniment. But who could it be?